Andrea Saul began as Children’s Ministry Coordinator in October 2017. 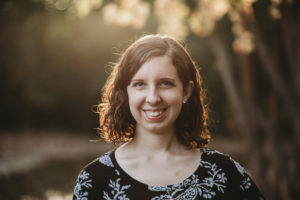 She is a 2015 graduate of Moody Bible Institute, where she studied Women’s Ministry and TESOL (Teaching English to Speakers of Other Languages). Andrea and her husband Garrett were married in 2014, and they have two young children, Irena and Theodore. Andrea’s passion is to disciple children to follow, adore, and delight in Our Lord Jesus.